Everything you need to engage with your visitors. Without lifting a finger. Our live chat software can be installed in seconds and works beautifully on any device. When you start using Melu, you have access to a client portal so you can manage your account, view leads and chat transcripts and review performance reports. When a chat session results in a lead for your business, an email notification is instantly sent so you can convert it. Our live chat operators are always available from 8am to 10pm, Monday to Friday, so you'll never miss an opportunity again. Our live chat software uses 256 bit encryption and all data transferred during chat sessions is secured. 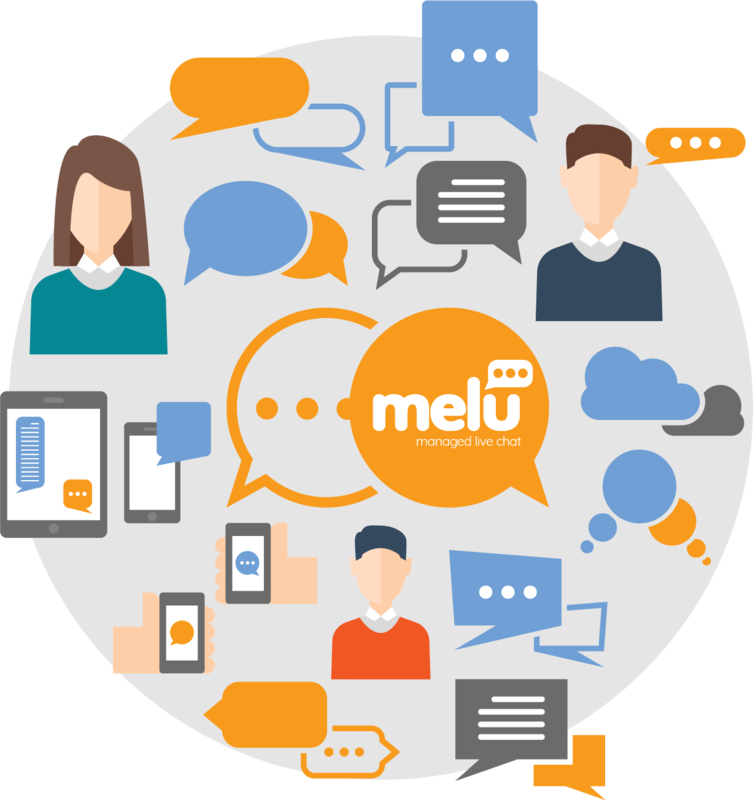 Melu takes data protection seriously - we make sure that your visitors personal data is encrypted and stored securely. When someone lands on your website, our live chat operators can see which page they're on, how long they've spent on there and their location in the world. After a short period of time, we send an invite to the visitor, asking if we can help them. If they're on a specific service or product page, our operators will tailor their invite accordingly. By inviting visitors to engage through live chat this way, the conversion rate from visitor to lead is hugely increased.